This weekend (26th to 28th January) is the 'RSPB’s Big Garden Watch', an event which encourages the public to take part in an annual survey of birds to monitor specifies that are thriving or in decline. 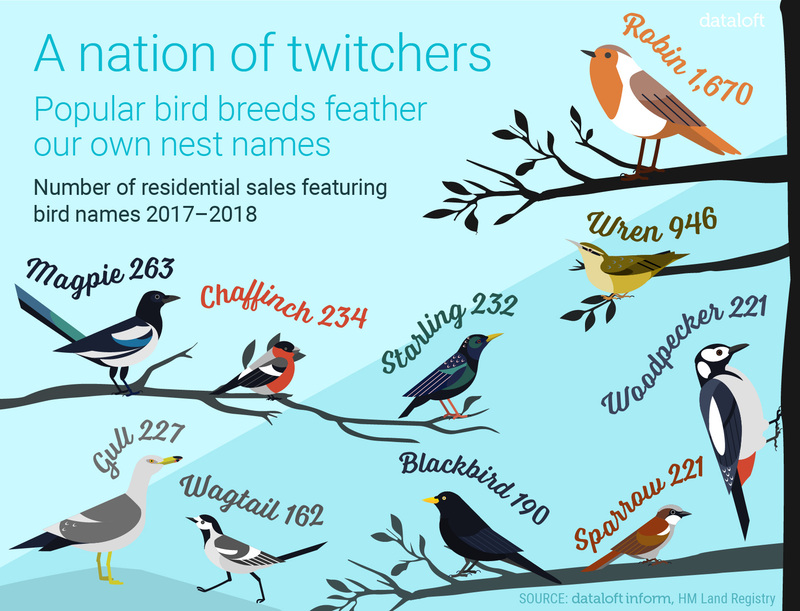 'Robin' was the most commonly featured bird in addresses for homes sold in 2017 and 2018 at 1,670 sales. However, it is addresses incorporating the names ‘wren’, followed by ‘gull’ and ‘magpie’ which have commanded the highest values, with premiums over other popular bird names.